Rabbi Raachel Jurovics grew up in L.A. and earned B.A. (1967), M.A. (1969) and Ph.D. (1976) degrees in English Medieval Literature from UCLA. Her professional experience includes freelance writing and editing; communication skills training and consulting; and software design. Raachel's family relocated to Raleigh in 1983. In California and in North Carolina, Raachel has been involved in congregational, community, and professional service in numerous capacities, among them Board Member, Officer, Social Action Chair, and Religious Practices Chair at Leo Baeck Temple and at Temple Beth Or; Board Member and Newsletter Editor of the San Fernando Valley Fair Housing Council; Board Member of the Los Angeles County Human Relations Council; Board Member and Chair of the North Carolina Religious Coalition for Reproductive Rights; Member of the Pastoral Services Committee of the Triangle AIDS Interfaith Network and Chair of TRAIN's Program Development Committee; Task Force Member, North Carolina Council of Churches; Member of the Vigils Against Violence Committee of the Wake County Interfaith Alliance; Board and Advisory Committee Member of LimiTV; Member of the Rex Hospital and WakeMed Ethics Committees; founding Project Coordinator for B'yachad, an inter-congregational community service organization; Member of the Raleigh-Cary Jewish Federation Jewish Family Services Board; Member of the Spiritual Direction faculty of the Jewish Renewal Seminary; Membership Chair of OHALAH, the Jewish Renewal Rabbinic Organization; Member of the ALEPH Alliance for Jewish Renewal Ethics Committee; OHALAH Board Member and director of the organization’s leadership development program and, currently, President of the Board of OHALAH. 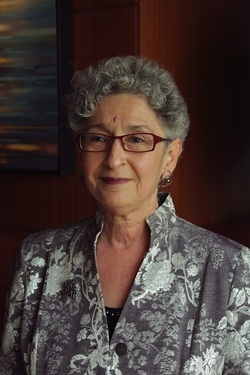 In 1995, Raachel trained as a Rabbinic Aide under the auspices of the Union for Reform Judaism, and in 1998 she began her studies in the Jewish Renewal Rabbinic Training Program. In 2003, she received smicha (ordination) as a mashpia ruchanit (spiritual director) from Reb Zalman Schachter-Shalomi and rabbinic smicha from the seminary. Raachel served as Program Director, Assistant Rabbi, and Associate Rabbi at Temple Beth Or, a Reform congregation in Raleigh, from 1997 - 2010, in addition to conducting a private practice in spiritual direction. In 2010, Raachel was invited to serve as spiritual leader at Yavneh: A Jewish Renewal Community, while maintaining her multi-faith spiritual direction practice. Raachel and her spouse, Dr. Stephen Jurovics, take great joy in their children, Toby (Chief Curator of the Joslyn Art Museum in Omaha, NE) and Nicole (who manages musicians, teaches yoga, and co-directs the annual Southeast Yoga Conference). Nicole and her spouse, Greg Lee (a professional musician), have been blessed with two daughters, Shaina Adrian and Rachael Renee.